Steve Smith could return to cricket soon, with a Canadian league naming the ousted Australian captain as one of the marquee players for a June tournament. 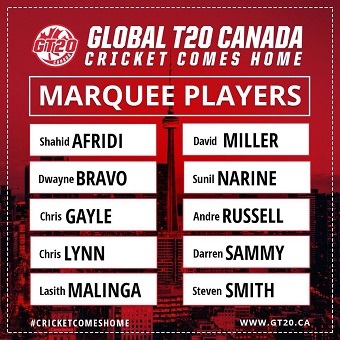 Global T20 Canada, a six-team league with 22 matches across a month, confirmed that Smith was among the confirmed signings for the tournament. Other marquee players named included Chris Gayle, Shahid Afridi, Dwayne Bravo, Lasith Malinga, Chris Lynn, Sunil Narine, Darren Sammy, David Miller, and Andre Russell. Tom Moody and Heath Streak are also set to take up coaching roles. Smith was banned for 12 months by Cricket Australia from playing international cricket as well domestic cricket in Australia for tampering a ball in South Africa. Other participants in the ball-tampering scandal, David Warner and Cameron Bancroft received 12-month ban and nine-month suspension respectively. The T20 tournament will take place in Ontario from June 28 to July 15.